Work Better, Not Harder: How I Emptied My Inbox! 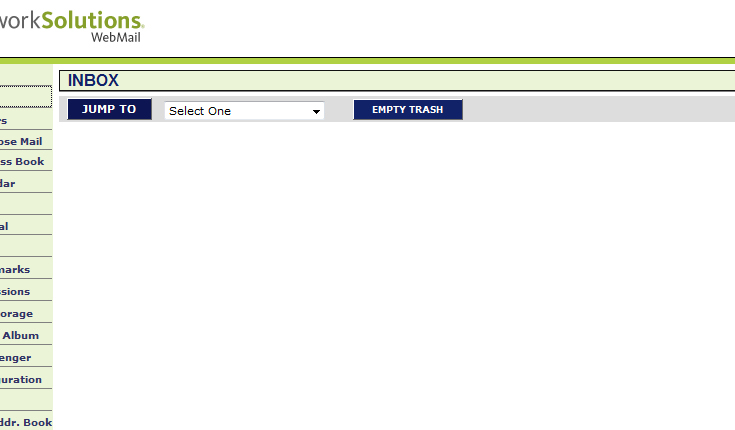 This is what an empty inbox looks like! It's the first time I've seen mine like this in at least a couple of years, maybe longer.﻿ It looks kind of strange, doesn't it? Even a little hard to get used to. 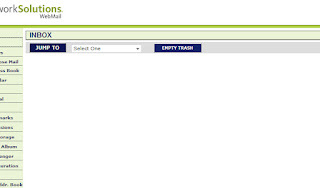 What a boost of self-gratification I got from accomplishing this (been patting myself on the back ever since). So much so that I'm now determined and motivated to keep it this way. Does this mean that I have nothing to do? That all my action items are completed? Not by a long shot - but now they're not staring me in the face all the time distracting me. My inbox will no longer be used as an ineffective to-do list. Now I realize this is a bit of psychological manipulation - it's all about my state of mind. But I've learned that my state of mind is about the most important consideration to accomplishing anything. What brought about this most awesome accomplishment? A handy little online app called Follow Up Then. It is by far the most useful app I've found in awhile. It's easy to get, easy to learn, and easy to use. Check it out and view the little video on the home page. It'll take you about one minute to be using it. 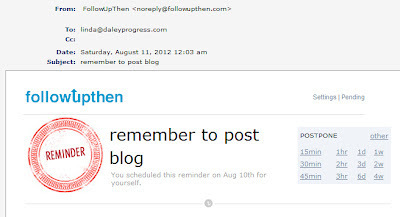 I'm also using it for simple reminders and there are many other ways to use it. 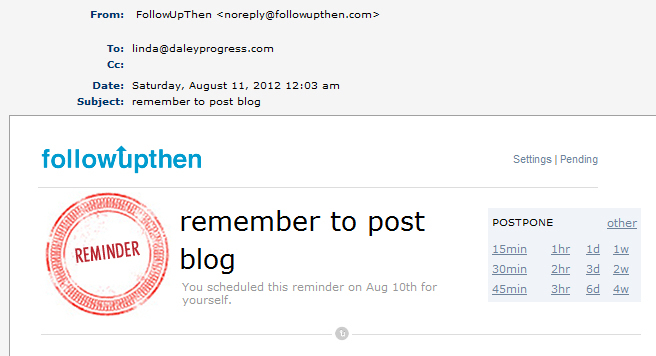 Here at Daley Progress, we're setting it up to manage our client reminder system. If you decide to get the premium version, you get some extra useful tools. Your first month is free and it's only $24/year. It was also the easiest, fastest purchase I've ever made online. They understand SIMPLE. Update Jan-24-16: You can use this affiliate link now to get $5 off. Hey Cath, so when I was in my late twenties and notoriously organized, a co-worker suggested I shouldn't keep my desk so tidy because people will think I'm not busy. All about perception! I've decided that my state of mind is way more important to getting things done than what other people think.